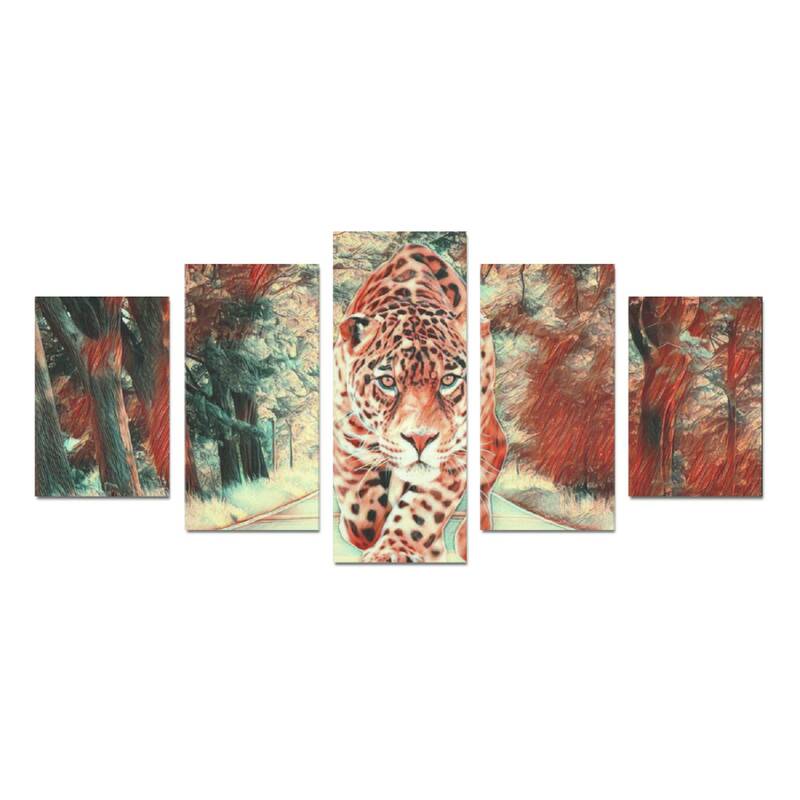 Decorate your living room wall with this five piece canvas art set. 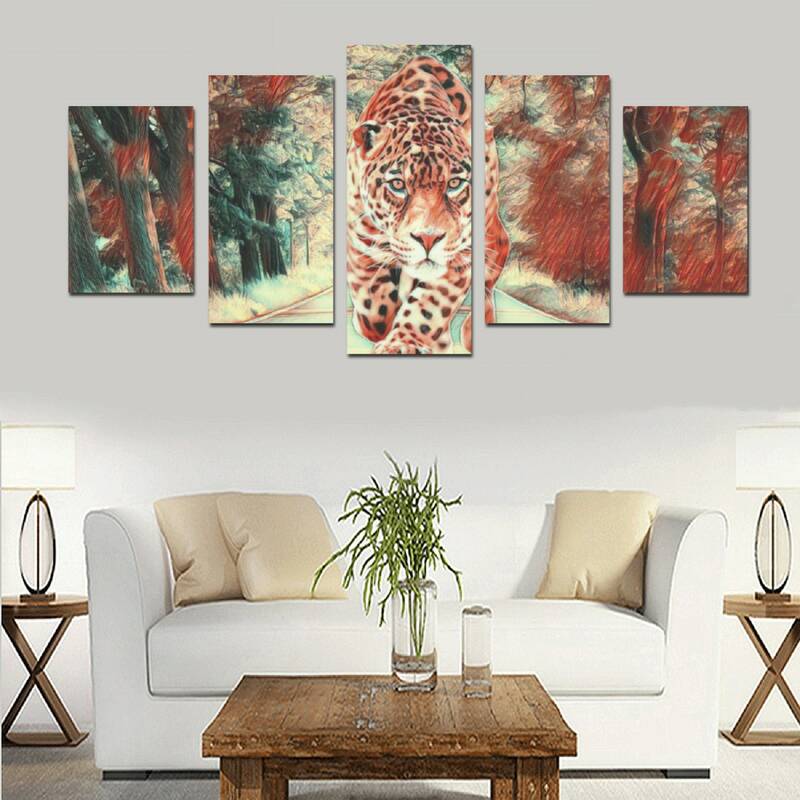 Colorful leopard and landscape print in five individual sizes. Easy to deliver, just take it to your local framing store to get the inside wooden framing to stretch the canvas over. • 33.51 Oz. 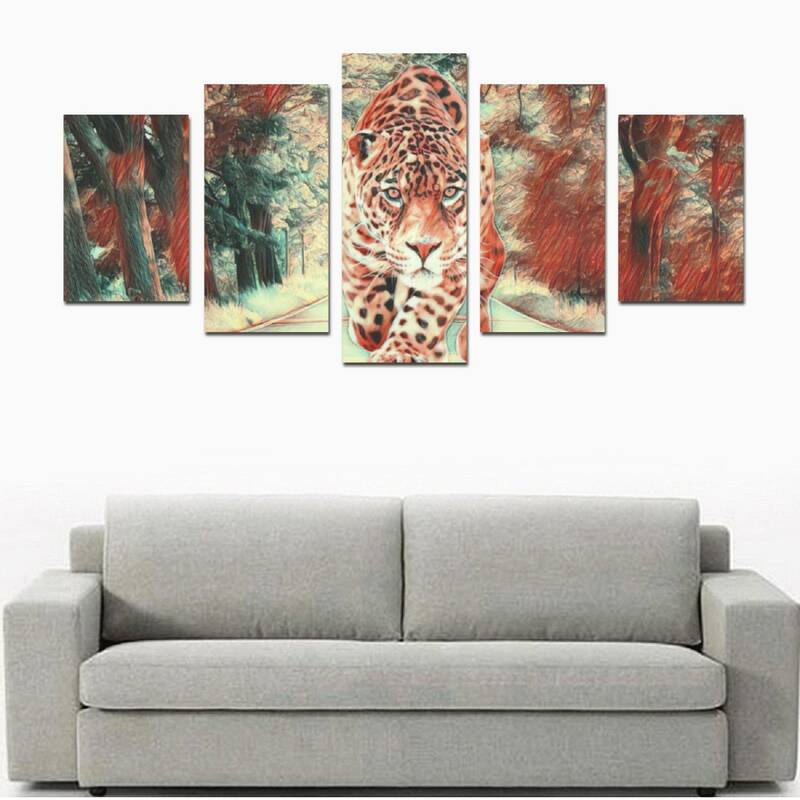 High definition artwork, printed on 100% canvas for room decoration. • No frame and stretcher bar, only canvas. The wall art will be rolled up as shipped.